Bay Area Kiteboarding • View topic - Anyone going to sherman tomorrow from oakland area? Anyone going to sherman tomorrow from oakland area? I bought a school bus that is right off the freeway by about 4 blocks. need a ride up there thursday, or possibly friday. I am in oakland/alameda. would be willign to chip in for gas. Would need to leave in time to beat traffic both ways so anywhere from 11-3. Humm.. Nice Hitch, I wonder how well the kicker would ride in the draft of that monster?? Yuri, I always knew you belonged on the short bus. But seriously.. that thing looks PIMP!! You gotta put a giant windhorny logo across the it. Last edited by Loscocco on Wed Jul 16, 2008 8:32 pm, edited 1 time in total. Now that we can do graphics and vinyl cutting in house, you better believe its gonna look something not to far off from that. "Windhorny school for kids who cant kite good." but I am not a school so that doesnt work. hmmm, the ideas are endless. no don't put something WE TODD DID on it. Keep it nice and clean..
A full wet bar and kettle corn- something has to pay for 10-12 mpg. 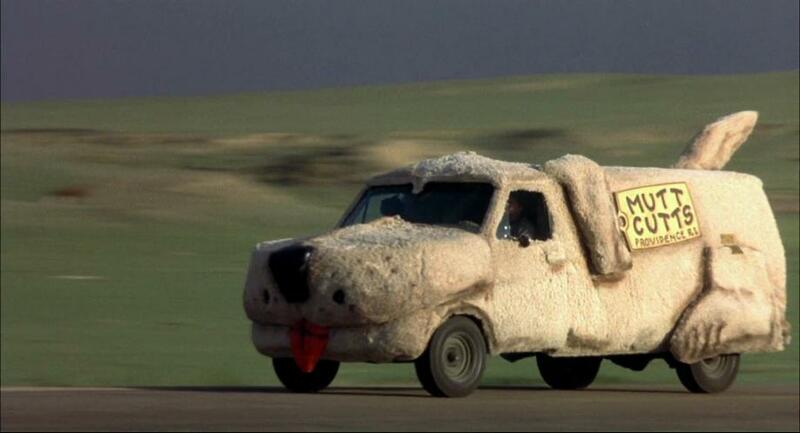 Make it look like the van in Dumb and Dumber. I like puppies...do I get a spot?? ?